A few days ago we introduced something very special — International Angel Gathering — if you have already registered for this free Live Virtual event, I’m excited to be connecting with you! During the last Angel Guided Meditation, Trgiaob, the Angel of Flight and Winged Creatures, took us on a beautiful meditation on the back of a Great Eagle. On the back of this great bird, we flew over a lush forest, an immense canyon, a waterfall that was ten miles long and had triple rainbows! Then we turned West to the mountains, witnessing the sun setting and back the way we came, landing softly. It was truly magical Angel Energy. You are going to join us for our Live Virtual International Angel Gathering aren’t you? The book we’ll be using for our Angel Guided Meditations is “Sacred Angel Realms: A Pocket Guide into Nine Angelic Hierarchies” in case you want to follow along with us. I want to mention that you use a separate slip of paper for everything you want to release, heal or manifest. So to be crystal clear, if there are things, feelings, thoughts or beliefs you want to release, you’d have 3 separate slips of paper to burn. It’s the very same process for what you want to heal and manifest. Each “heart wish or desire” is written on a different slip of paper, which is then burned. When you have written out all you want to release and bring in, you burn the slips of paper one at a time. We use a red ceramic bowl. I have been using the same red ceramic bowl for more than 5 years now. It’s only used for burning what needs to be released, forgiven and to manifest my heart’s desires. If you want to be a part of something special and very powerful, join us for our International Angel Gathering. In our next email, I’ll be sharing more about the channeled Angel Meditation where we bring in Angel Energy for a one-of-a-kind Angel experience. We’ll be using “Sacred Angel Realms: A Pocket Guide into Nine Angelic Hierarchies” for these Channeled Angel Meditations. Join us for an incredibly powerful, healing experience with like-minded women and men all over-this-world when you say “YES” and register for International Angel Gathering today. On February 20th, it was a pleasure and an honor to host my first live Angel Gathering here in El Paso, Texas! The intention is to open this experience to as many “Earth Angels” as possible, worldwide. With that said, the International Angel Gathering is happening in just a few days! What is an Angel Gathering? It is an opportunity for us — all of us — to come together for healing, connection and guidance from Angels. Here’s what happens … we come “gather” or come together in person in my home AND online at the same time. Yes, this is a live virtual International Angel Gathering, connecting with each other for very powerful Angelic Healing Energy for ourselves, each other and our planet. It’s also about raising the vibration of our world, Mother Earth and our inner-vibration. This is the “flow” for our International Angel Gathering ..
#2 – Angel Guided Healing Meditation as channeled from Archangel Raphael. We start our Healing Circle by silently saying the names of friends, family, co-workers and loved ones, placing them “into the Healing Circle.” Remember to put yourself into the “Healing Circle” … animals, the environment … you get the idea. #3 – Red Burning Bowl Ceremony – this is where we take a few minutes to write out on slips of paper what we want to release, heal and also what we want to bring in and manifest. #4 – Angel Guided Meditation – short teaching point about the Angel being channeled for the meditation to bring in the Angel’s energy. 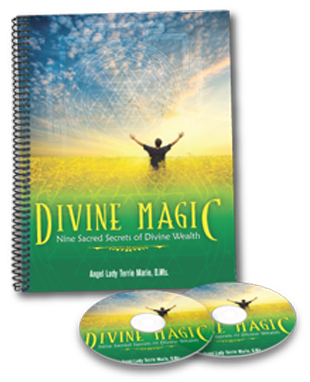 We will be using the book “Sacred Angel Realms: A Pocket Guide into Nine Angelic Hierarchies” in case you want you want to follow along. The best part — in my humble opinion — is this; our International Angel Gathering is FREE and always will be! You will need to register to “attend” our Live Virtual event. I’d love to share a little bit about the Angel Guided Healing Circle Meditation with Archangel Raphael, to give you some insight to see if this is a “fit” for you … it may not be. During the Angel Guided Healing Circle Meditation, Archangel Raphael is our primary guide, filling us with his powerful Emerald Green healing light. Archangel Metatron, Archangel Jophiel and Angel Balthiel were also with us helping us cleanse, balance and align our Chakras, healing physical bodies for each other, ourselves and across the world, family and friends, animals, plants and of course, Mother Earth too. More about our Red Burning Bowl Ceremony tomorrow! One of my favorite things to do, is to translate the Language of Angels … and … teaching women and men just like you to translate the Language of Angels. Angels have their very own language which isn’t always easily understood because what we’re being given is “wrapped” in symbols and signs that can be overlooked or misunderstood. You see, we are so used to being questioned about what we want, the dreams we have for our lives, we start keeping our dreams to ourselves out of fear of being laughed at or being told it will NEVER happen. Soooo … how can you start turning everything around and start to translate the Language of Angels in a way that works for you? To learn more about how to translate the Language of Angels, join us for Project Angel Connect 2-Day Virtual Retreat. When we invite Angels into our lives, whether it’s the first time or you want to connect more than you are right now, opportunities and people begin to “show-up” in your life in magical, mystical ways. PS … Knowing how to translate the Language of Angels can open your pathway to understanding and fulfilling your Life Purpose in ways you have yet to imagine. Join us for Project Angel Connect 2-Day Virtual Retreat now. We’ll be going into depth with each one of the 7 Keys during Day One of Project Angel Connect 2-Day Virtual Retreat. Most us have one core issue that has been buried under layers and years of “negative sub-conscious programming” from family, past relationships and our own negative self-talk. Once we know what that “one thing” is that has been disguising itself as so many outside or external reasons, we can truly begin to unscramble the truth from illusion, replacing or re-programming our conscious and sub-conscious minds with positive thoughts and beliefs. 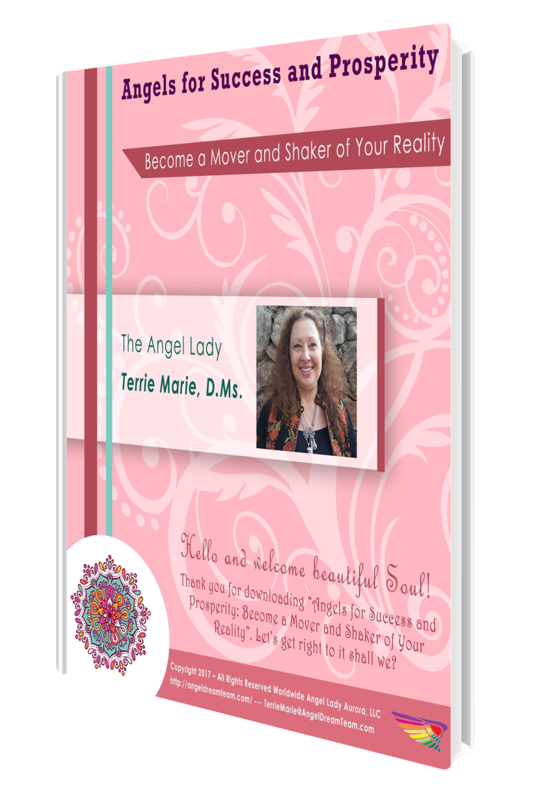 Just imagine what it could be like to finally figure out how to tap into your inner-intuitive self, raising your inner-vibration and connect with your Angel Guides. Knowing you are on the right path for you and your dreams is truly magical and priceless! If you’ve been “waiting for the right and perfect time: to work together … this is one of those times. … you could really know that Angels are always with you o matter where you are or what you’re doing? Speaking for many of my clients, knowing this … I mean truly “knowing” Angels are always with them no matter what they feel or where they are on their Spiritual Path, has changed everything for them! I can openly say that without my Angel Guides helping me every step of the way, we wouldn’t be “having this conversation” right now. It hasn’t always been easy, and yet they have always been by my side. My mission or Life Purpose is to help thousands of women and men just like you or someone you know, to connect with Angels and live their Life Purpose with prosperity and abundance. One the Bonuses you get, when you register, is Life-Time Membership to an exclusive Project Angel Connect Facebook Group. Tomorrow I’ll tell you what the 7 Keys to Connect with Angels for Healing and Inspiration to Manifest and Fulfill Your Life Purpose are. But … How Do I know if I’m on the Right Path? Let’s get right to it, because this question of how to know if you’re on the right path for you, is what trips a lot of people up … I know it did trip me up for a long, long time. One of my clients, Margaret, in Manchester, England, wasn’t sure if what she was doing — even though she was happier than she had been about her professional life — was helping or taking her farther away from her dreams of starting a Naturopathy Healing Clinic. When we first met, Margaret was teaching music lessons and designing and making beautiful crystal jewelry. Margaret applied for and got a full-time teaching job, and working on her jewelry designs part-time. In her words, it was a starting place and she was earning more than she had before she was injured in an accident a few years earlier. Before the end of that first school year, she applied to teach at several “better schools” that offered a higher salary … AND … she got to “choose” which offer she accepted! Even though she was having steady work as a teacher, Margaret began to wonder if what she was doing was really helping get closer to opening her Naturopathy Healing Clinic. Sometimes, we’re so focused on what our Life Purpose is and “how to get there” we overlook where we are … on a bridge to where we want to be. Not only is Margaret teaching with a renewed contract, she was “asked” to start teaching meditation classes to the students! She’s also researching potential schools to start teaching meditation to more students. If what you’re doing feels right and you are happy doing what you’re doing, you are raising your inner-vibration, opening yourself to attracting more opportunities, taking you one more step closer to fulfilling your Life Purpose. Angels only want for you what you want for yourself … to know and live your Life Purpose and making a difference you want to make with prosperity and abundance. It doesn’t matter whether or not you want to raise your inner-vibration to attract prosperity or you want to focus on connecting with them first. When you raise your inner-vibration in one area of your life, you raise your inner-vibration in every area of your life. … in 2 days, January 18th, I’ll share with you how you can connect with Angels and have clarity about being on the right path for you to fulfilling your Life Purpose with prosperity ad abundance. Until then … know that even if you’re not able to feel or sense Angels around you … yet … they are always with you. A few days ago we shared a case study with you about how Marianna connected with her Angel Guides. In case you missed it, here’s a quick review … by being willing to practice imagining a bubble of pink light around her and learning to discern if she what she was feeling or sensing was really coming from her or if the energy was coming at her, Marianna was able to raise her inner-vibration. Today, it’s all about how Angels can help you with your Life Purpose. Sometimes what our Life Purpose is, isn’t easy to figure out. We all have a sense of doing something more with our lives, to make a difference in this world helping others. Knowing what our purpose is essential to fulfilling our purpose. This is the most challenging thing many of us face during our life-time. Each time we take a step towards figuring out what our purpose is, the closer we are to that deep sense of knowing within our heart center. All we need to do in the beginning is to be willing to step out beyond our fear of the unknown. The more Marianna worked with her Angel Guides, the more things, people and unexpected opportunities started “showing-up” for her. So many of us are so “busy” trying to figure out exactly “HOW” all of this — our Life Purpose — is going to happen, that we become “blind to our strengths” and we miss the intuitive trail of clues we are being given. Marianna took a Leap of Faith by making a conscious decision to put into action and practice what she was learning and she was able to connect with her Angel Guides more often. She said to me one day, that after she stopped doubting that she was special enough, little by little, messages started coming to her and to her it felt like someone had “pulled back the magical veil” between her and Angels. We humans tend to make things much more difficult than they really are. We tend to get in our own way and muddy the “energetic waters” with doubt and fear by listening to Ego-chitter chatter. The more we accept that we really can magnify what we’re already getting from our Angel Guides, the easier everything else becomes. One of the most frequently asked questions is about being on the right path to fulfilling our Life Purpose. You’ll want to watch your in-box, because in 2 days, I’m going to answer that question … how to know if you’re on the right path for you. Marianna and I first met in 2014, during a live “How Many Guardian Angels Do You Have” presentation. Like a lot of women and men I meet, she wasn’t quite sure if she had Angels or if she had was “good enough” to know if they were really with her and who they were. During the presentation, Marianna learned that she did have two Guardian Angels with her at all times and how she could start connecting with them in a way that worked for her. She is sensitive to energy and I shared with her and everyone at the presentation how they could protect themselves and filter out 80 to 90% of all negative energy by imagining a bubble of pink light around them. Later, Marianna would tell me that the way she felt during and for a few days after the presentation, she just KNEW she had to know more. Because she was very sensitive to energy as far back as she could remember, that’s where we started … we explored how she felt of sensed energy and how to tell the difference if what she was feeling, was coming from her or to her from someone else. It may not seem like those 2 energy pieces have anything to do with connecting to her Angel Guides … and yet … they have everything to do with it with being able to sense or feel Angels around her. By filtering out negative energy, she was able to raise her inner-vibration and all of a sudden — or so it seemed to her at the time — Marianna began receiving intuitive thoughts that seemed to come at the oddest moments. She would get soooo excited because “It’s working just like you said it would Terrie Marie!” I just smiled and listened to what had started happening for her. She learned how to ask for help, healing and guidance. She also learned how to be open to receive what she had asked for. Knowing how to be open to receive, offering non-resistance, is equally important as knowing how to ask. The more Marianna “practiced” what she was learning, the easier it became. You see, she wanted to know her Angel Guides and what her Life Purpose was and felt an almost compelling need to figure that out. In a few days, I’ll share with you just how Angels helped Marianna figure out what her Life Purpose is and what she’s doing now, so be sure to watch your in-box. PS … What would it change things in your life if you could really know Angels are always with you no matter where you are or what you are doing? Join us for Project Angel Connect, a s-Day Virtual Retreat. Click here for all the juicy details.